Gospel singer Mr Seed is doing well after leaving Bahati’s EMB record label. The artiste recently released a song, Upo, featuring Solomon Mkubwa and it has been well received by his fans. 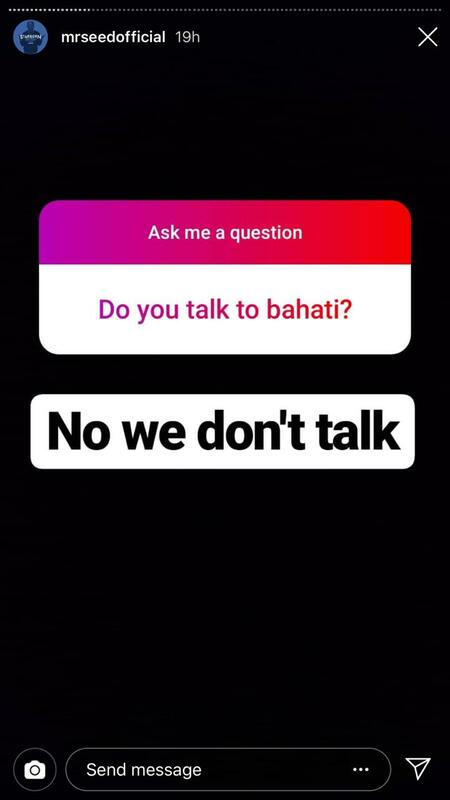 In a Q&A session with his followers on Instagram, Mr Seed talked about his family, relationship with Bahati and career. 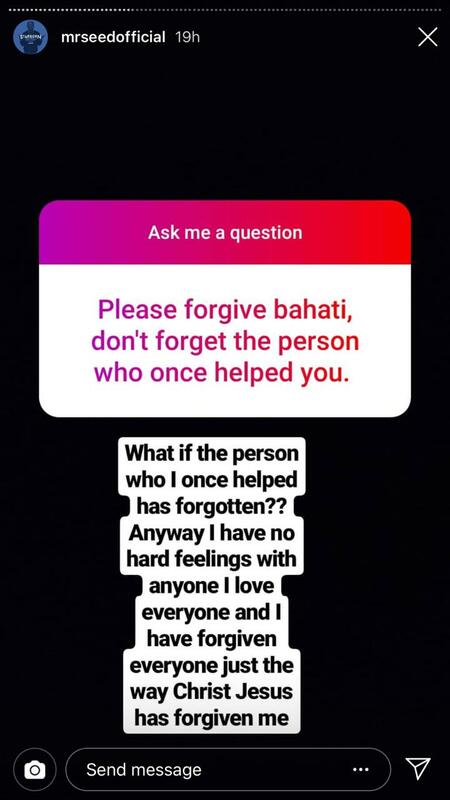 Please forgive Bahati, don’t forget the person who once helped you. What if the person who I once helped has forgotten? Anyway I have no hard feelings with anyone. I love everyone and I have forgiven everyone just the way Christ Jesus has forgiven me. 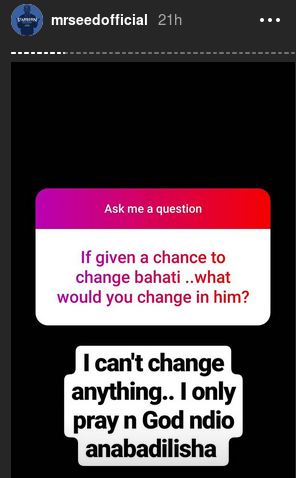 iF GIVEN A CHANCE TO CHANGE bAHATI..what would you change in him? I can’t change anything..I only pray and God ndio anabadilisha. 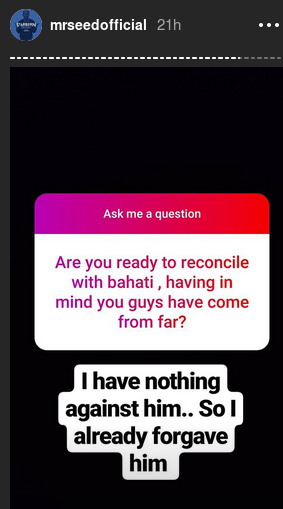 In past interviews, the father of one said that he left EMB because the CEO (Bahati) mistreated his wife and at times disrespected him. 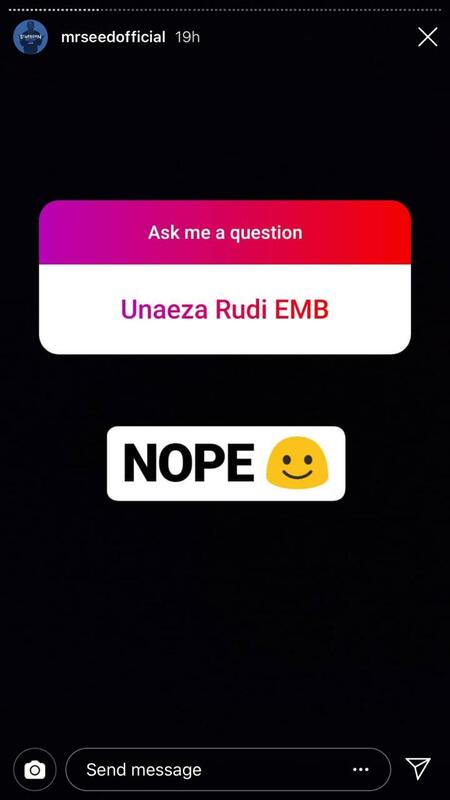 A fan asked him if he would go back to EMB, but he said never. 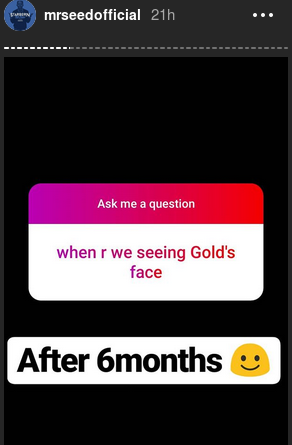 Mr Seed’s son turned a month old yesterday and he revealed that they will unveil his face when he turns six months old.